Today, two mainstream technologies are the center of concern in IT – Big Data and Cloud Computing. Fundamentally different, Big data is all about dealing with the massive scale of data whereas Cloud computing is about infrastructure. However, the simplification offered by Big data and Cloud technology is the main reason for their huge enterprise adoption. For example Amazon “Elastic Map Reduce” demonstrates how the power of Cloud Elastic Computes is leveraged for Big Data processing. The combination of both yields beneficial outcome for the organizations. 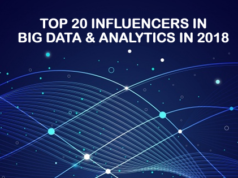 Not to mention, both the technologies are in the stage of evolution but their combination leverages scalable and cost-effective solution in big data analytics. So, can we say Big data and Cloud computing a perfect combination? Well, there are data points in support of it. Besides that, there are also some real-time challenges to deal with. In this blog, we will discuss both the aspects. We assume you have some idea and knowledge on Big data and Cloud computing. 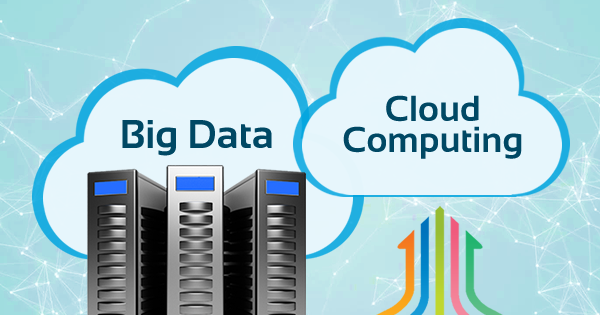 For a better understanding of different areas of Big data and Cloud computing, read the introductory blogs and learn Big data and Cloud computing. Big data and Cloud computing both the technologies are valuable on its own. Furthermore, many businesses are targeting to combine the two techniques to reap more business benefits. Both the technologies aim to enhance the revenue of the company while reducing the investment cost. While Cloud manages the local software, Big data helps in business decisions. Let’s start with the basic outline of the two technologies! Here the service provider offers entire infrastructure along with the maintenance related tasks. in this service, the Cloud provider offers resources like object storage, runtime, queuing, databases, etc. However, the responsibility of configuration and implementation related tasks depend on the consumer. This service is the most facilitated one which provides all the necessary settings and infrastructure provides IaaS for the platform and infrastructure are in place. IaaS is a cost-effective solution and utilizing this Cloud service, Big Data services enable people to access unlimited storage and compute power. It is a very cost-effective solution for enterprises where the Cloud provider bears all the expenses of managing underlying hardware. PaaS vendors incorporate Big Data technologies into their offered service. Hence, they eliminate the need for dealing with the complexities of managing single software and hardware elements which is a real concern while dealing with terabytes of data. Analyzing social media data is nowadays an essential parameter for companies for business analysis. In this context, SaaS vendors provide an excellent platform for conducting the analysis. Being an evolving technology and relatively a new concept, Big data carries few myths. Let’s go through some common Big Data Myths and Facts behind them. How is Big Data Related to Cloud Computing? Hence, from the above description, we can see that Cloud enables “As-a-Service” pattern by abstracting the challenges and complexity through a scalable and elastic self-service application. Big data requirement is same where distributed processing of massive data is abstracted from the end users. There are multiple benefits of Big data analysis in Cloud. With the advancement of Cloud technology, big data analysis has become more improved causing better results. Hence, companies prefer to perform big data analysis in the Cloud. Moreover, Cloud helps to integrate data from numerous sources. Big Data analysis is a tremendous strenuous job on infrastructure as the data comes in large volumes with varying speeds, and types which traditional infrastructures usually cannot keep up with. As the Cloud computing provides flexible infrastructure, which we can scale according to the needs at the time, it is easy to manage workloads. Both Big data and Cloud technology delivers value to organizations by reducing the ownership. The Pay-per-user model of Cloud turns CAPEX into OPEX. On the other hand, Apache cut down the licensing cost of Big data which is supposed to be cost millions to build and buy. Cloud enables customers for big data processing without large-scale big data resources. Hence, both Big Data and Cloud technology are driving the cost down for enterprise purposes and bringing value to the enterprise. Data security and privacy are two major concerns when dealing with enterprise data. Moreover, when your application is hosted on a Cloud platform due to its open environment and limited user control security becomes a primary concern. On the other hand, being an open source application, Big data solution like Hadoop uses a lot of third-party services and infrastructure. Hence, nowadays system integrators bring in Private Cloud Solution that is Elastic and Scalable. Furthermore, it also leverages Scalable Distributed Processing. Protecting big data from advanced threats. How Cloud service providers maintain storage and data. On the other hand in many organizations, big data analytics is utilized to detect and prevent advanced threats and malicious hackers. Before we go to these specialty courses, let’s highlight the most popular and recognized certifications in each stream which help to gain knowledge in respective areas. 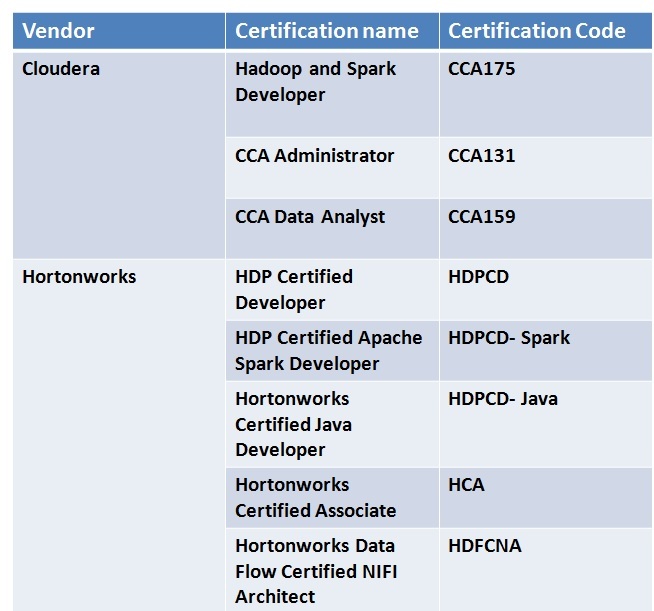 Cloudera and Hortonworks are two major providers of Big Data Certifications. 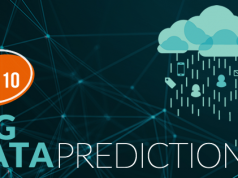 Let’s find out which one it better – Cloudera or Hortonworks? Relevant work experience in big data analytics solutions. There are no pre-requisites for the exam. No doubt, Big data and Cloud computing is a perfect combination to enhance enterprise capabilities. Though few challenges exist there like data storage capabilities, however, these are negligible before the offered beneficial outcomes. So, we can conclude that Big Data and Cloud Computing is the perfect combination. A single article may not be enough to describe all aspects of the combined features of this duo. Hence, if you gain the knowledge, you will find more data points yourself. 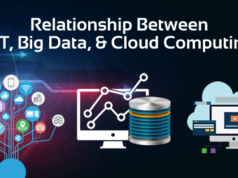 At Whizlabs we leverage the knowledge of both Big data and Cloud computing following the recognized vendor-specific certifications from the streams of AWS, Azure, Google Cloud, and Salesforce. On the other hand, our Big data stream is enriched with Cloudera and Hortonworks certification guides. Whizlabs assures you a better knowledge space and promising career in the technological arena of Big data and Cloud computing! Have any query regarding Big Data and Cloud Computing? Write below in the comment section or submit here and it will be resolved in no time. 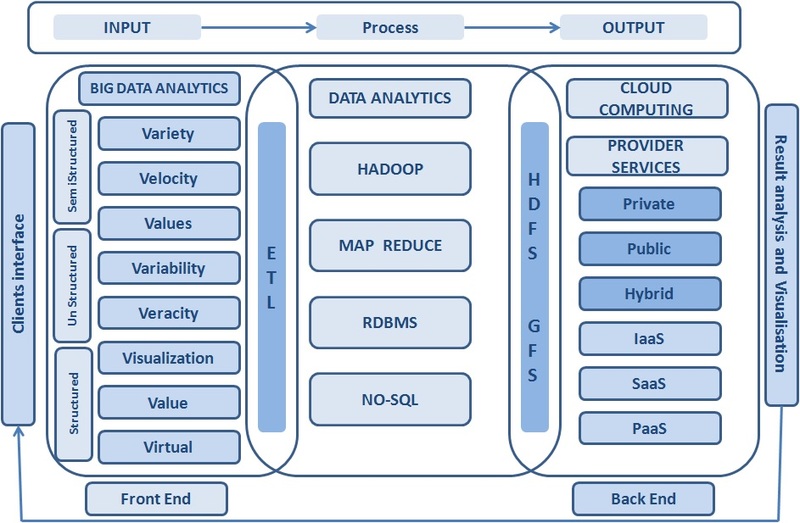 This is the very interesting post on big data and clouding computing. Actually, these are closely related to each other. Big data is provided a big storage system for a business than comparison cloud computing is giving more security to the business, So This is a good post for me. This is a good cloud computing service for small businesses. You have mention many tips which is very helpful for my business.